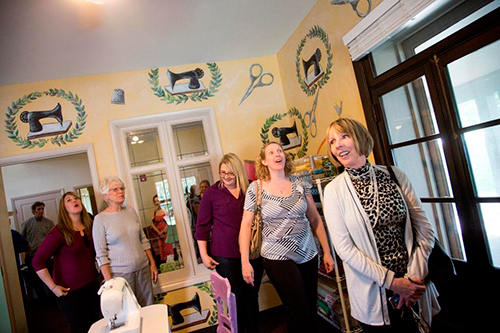 Enchanted Makeovers and Baby Lock Sewing Machines are stitching up a great year of makeovers as the first-ever Sacred Sewing Room Tour comes to a close. The final event, held on October 18 at The Domestic Abuse and Sexual Assault Crisis Center in Washington, NJ, wraps up this life changing makeover tour. Since 2007 Enchanted Makeovers has been transforming homeless shelters for women and children into places that inspire behavioral and psychological change. 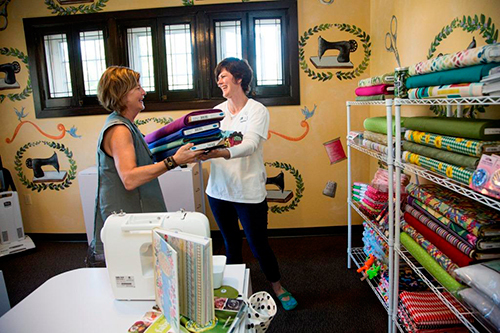 The 2014 tour focused on creating “Sacred Sewing” rooms at domestic abuse shelters. 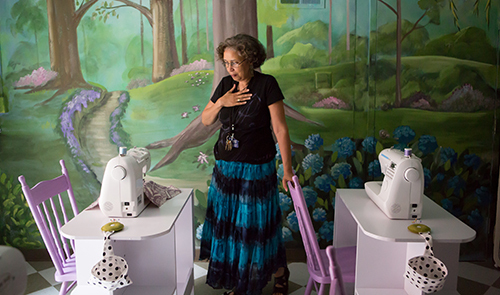 The Tour touched the lives of hundreds of women and children and will continue to inspire lasting change and confidence through these sewing room makeovers. Photos of the completed rooms are available here via Flickr. 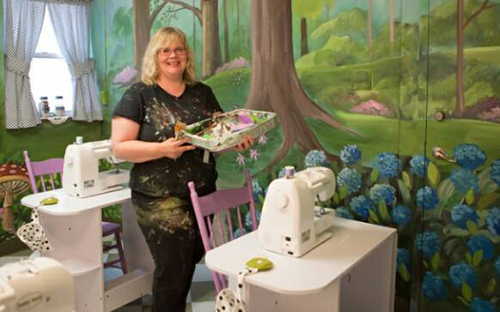 Enchanted Makeovers worked with Baby Lock Sewing Machines as the presenting sponsor to transform five rooms in shelters in St. Louis, MO; Easton, PA; Kansas City, KS; Lexington, KY; and Washington, NJ. More than 70 other sponsors and financial donors helped to fund the tour which enjoyed 100 percent of volunteer support from the Painters and Carpenters Union in each of the five makeover states. Along the way, over 75 volunteers gave their time to bring these rooms to life. Renowned muralist Anita Roll donated nearly 150 hours of her time to create custom-themed murals at each location. As the tour spun into motion, the CeCe Caldwell’s national retailers transformed 20 antique chairs with a custom-created paint color called “Enchanted Lilac” which was specifically created for the tour with ten percent of future sales benefitting Enchanted Makeovers. In a few short months, CeCe Caldwell has already raised over $5000 for Enchanted Makeovers. Sponsors and supporters donated more than 4,000 yards of fabric as well as all the cutting tables, ceiling fans, vacuums and all of the supplies for each sewing station. The 20 sewing stations were equipped with Baby Lock’s popular Rachel sewing machine. Pattern maker Amy Barickman and her team at Indygo Junction created a custom pattern for this tour as well. As the Presenting sponsor of the program, Baby Lock believes in what this project represents and its significant potential for improving the lives of women and children. 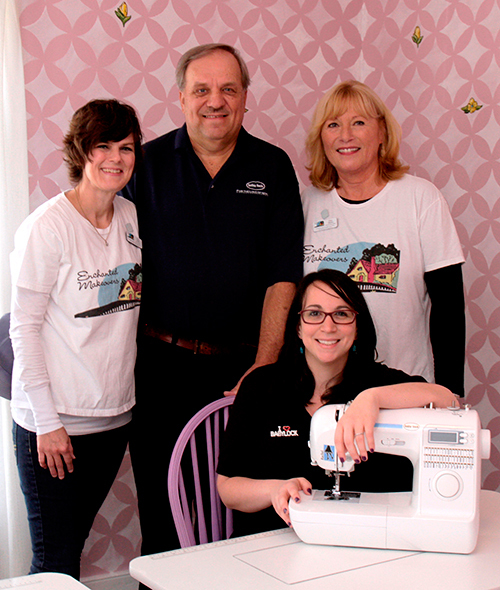 The Enchanted Makeovers team spent hundreds of hours transforming the rooms and is committed to the long term success of this program with Baby Lock local market retailers continuing to support the Sacred Sewing Room project by volunteering to provide maintenance to the machines. They have also offered time to teach Sacred Sewing Room instructors how to use the machines. At each shelter, the residents are encouraged to make something to donate to others as one of their first projects. Some of the projects residents have participated in include making dresses for young girls in Africa and creating bibs for teen moms who are re-building their lives in shelters. Enchanted Makeovers is a 100% all-volunteer 501 (c) 3 non-profit organization whose mission is to transform homeless shelters for women and children into places that inspire behavioral and psychological change. Through unique projects and programs, a place is created that is supportive and inspirational for the most vulnerable members of our society while rebuilding their lives. For more information, visit www.enchantedmakeovers.org. 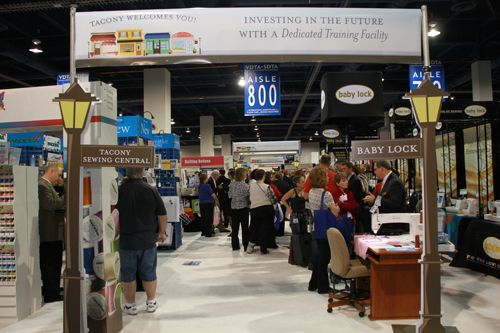 Baby Lock has been a leader in the sewing industry for nearly 50 years. The company brought the first home serger to the market in 1964, and since then has introduced patented features to the world of serging. Baby Lock also offers a full line of other products that enhance the love of sewing, including easy to use sewing and quilting machines, embroidery products, exclusive software and industry-leading Gold Standard service and support. For more information, visit www.babylock.com. How do traditions start? The first time around the event has to be memorable enough to want to do it again. The next time it should be as good if not better than the first. By this logic, it seems that the city of St. James might have a new summer tradition in the works. The Vacuum Museum’s 2014 “Scoops and a Movie” event was an even bigger success than last year’s event with over 250 people in attendance. 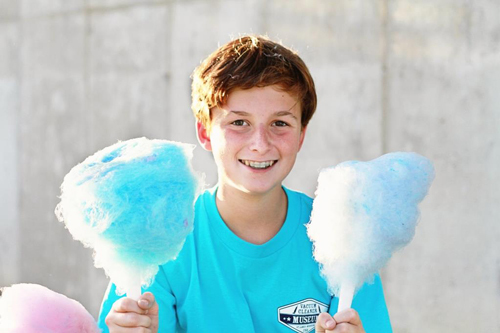 The first “Scoops and a Movie” event in 2013 represented an amped up anniversary celebration that was once a simple ice cream social. According to Vacuum Cleaner Museum representatives, this year’s event was a little more than an anniversary party. 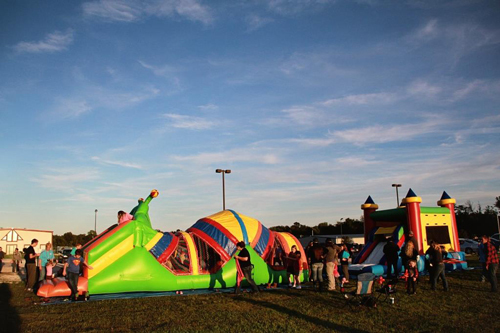 The event kicked off with free snacks including Ruby’s ice cream, two bounce houses, balloon animals, and a temporary tattoo station. 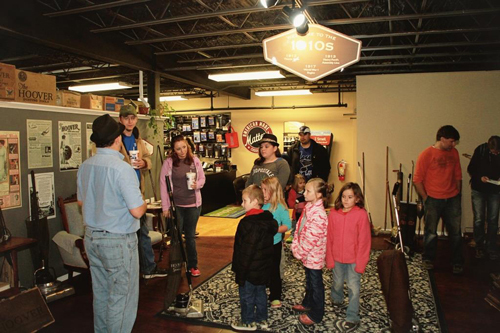 In the midst of all the snack eating and bouncing, Vacuum Cleaner Museum curator, Tom Gasko, gave tours to new visitors. The museum was full of enthusiastic “vac heads” all night. Additionally, Relay for Life had a booth set up and raised over $200 through hot dog and water sales. |Once the movie started on the jumbo screen, things calmed down a bit, but as soon as it was over attendees were in for one more special treat. 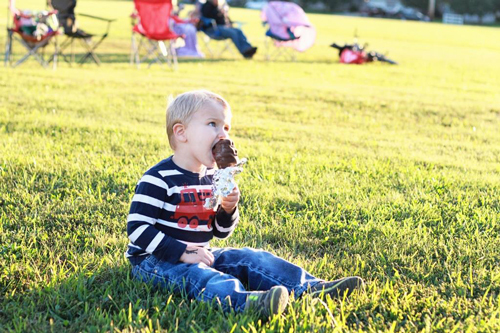 “Scoops and a Movie” concluded with a fireworks show that many attendees said rivaled the local 4th of July shows. Overall, the event was a success, and the Vacuum Cleaner Museum has every intention of making “Scoops and a Movie” a lasting St. James tradition. The Vacuum Cleaner Museum and Factory Outlet is open and free to the public Monday through Saturday from 9 a.m. to 5 p.m. excluding holidays. The museum is located just off Hwy. 44 at exit 195, at #3 Industrial Drive, St. James, MO 65559. For more information, visit www.vacuummuseum.com or call 1-866-444-9004. If you’d like to know more about us, check out our brochure, learn more about our products and services, or have a look inside our company. Each year at the VDTA Convention, Tacony Corporation is represented by an array of home floor care and sewing brands. This year, Tacony had an entire “street” that was packed with enthusiastic retailers. All in all the show was a success, and we couldn’t have done it without the support of the many retailers who stopped by the Tacony booths. “We had a tremendous show,” John Kaido, Tacony Senior Vice President of Home Floor Care Sales, said. “It was great to see so many of our dealers, hear first-hand what they think of our new products, and thank them for their great support.” Thank you to everyone who made it out to Las Vegas for the convention. If you couldn’t make the show this year, keep reading to see what you missed. For 18 years, Ray Queen worked for the Tacony sewing team and in 2013 he retired as Vice President and Chief Sales Officer of the Baby Lock Sewing Division. After 44 years in the business, he was one of this year’s VDTA Hall of Fame inductees. We sure are proud to call him part of the Tacony family. The Riccar booth art was reminiscent of fitness posters encouraging retailers to strengthen their sales with Riccar vacuums. 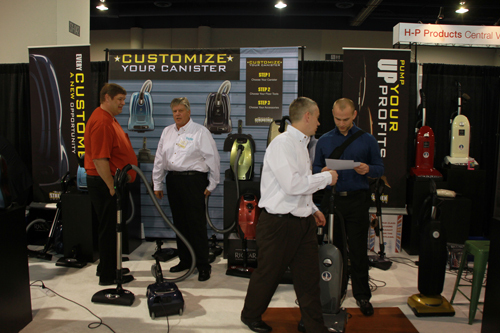 In the booth, Riccar featured its new lightweight vacuum models as well as a sneak peek of the Riccar Prima a la carte canister vacuum. This canister will give customers the freedom to build their own vacuum and will be available in the summer of 2014. Another new item that thrilled attendees was the Fur-Get-It pet tool, which will soon be packaged with the Riccar Retriever pet vacuum. Special congratulations go out to Al Allstadt of Al’s Vacuum in Minnesota for his induction to the VDTA Hall of Fame. Al has been a Riccar Retailer for 22 years and we couldn’t be happier for him. Way to go! 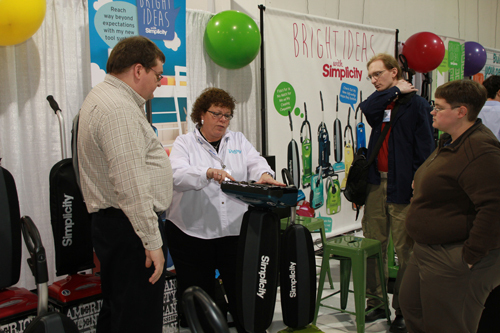 Retailers looking for Bright Ideas stopped in the Simplicity booth for demo advice and a look at new products. The bright booth featured a special section for the new Simplicity Wonder display wall. The Wonder is an a la carte canister set to debut this summer. Other new Simplicity items included the new lineup of clean air and tandem air vacuums and the new Pet Hair Beware! pet tool. 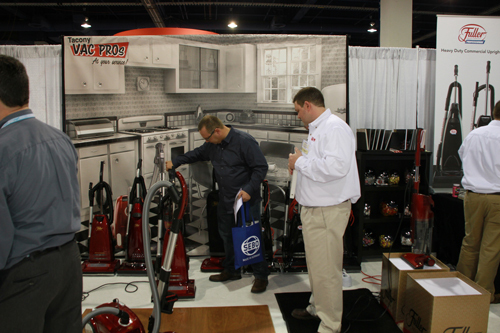 The Vac Pros booth touted a good ol’ 1950s look in black and white with red accents to highlight the Fuller Brush vacuum line. Vac Pros products, such as Fuller Brush vacuums, are built like vacuums used to be—with metal in the high wear places so they last for years. And a Vac Pros representative is just a phone call away. It’s the type of personal, friendly service the Fuller Brush man would be proud of. Visitors to the Vac Pros booth got a look at the new Home Maid power team canister as well as a sneak peek at the Got It Made portable canister. 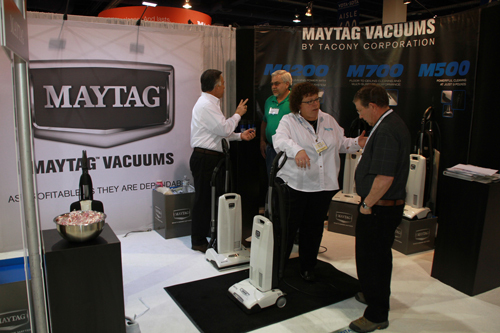 During the show, visitors to the Tacony vacuum booths found Maytag vacuums to demo, too. These new vacuums are now available through Simplicity and Riccar Independent Vacuum Retailers and Independent Appliance Stores across the country. In the midst of product demos, Tacony presented a new online order management platform: Tacony Online. This new system makes it easier for Tacony retailers to browse Tacony products, place orders and manage billing. It’s available all day every day, so if inventory is low on the weekends or retailers remember to order a product in the middle of the night, Tacony Online can help. Baby Lock introduced a new quilt frame unlike any other—the Momentum. This frame moves in sync with the user to give up to six inches of additional quilting space. The updated Crown Jewel II and Tiara II longarm machines also premiered at the show joining the rest of the Baby Lock lineup in product demos. Meanwhile, the Designer’s Gallery team gave demos of the new FontWorks embroidery software. This easy software features over 100 built-in fonts and allows for endless conversion of TrueType fonts to embroidery, too. It’s ideal for anyone looking for user-friendly lettering software at an exceptional value. To complement the new longarm products in the Baby Lock booth, Madeira presented a new longarm thread. Aeroquilt is a premium 100% core-spun polyester quilting thread. It’s strong enough to withstand the speed of longarm machines, but has a soft cotton-like finish that feels familiar to quilters. This rounds out the Madeira portfolio, which provides the broadest line of thread products to quilters and embroiderers. Other new products from Tacony Sewing Central caught the eyes of retailers including the new Appliqué It! software from Amazing Designs and many accessories from Creative Notions. Founded in 1946 by Nick Tacony, Tacony Corporation is a privately held manufacturing and distribution company operating in four strategic business units: sewing, home floor care, commercial floor care, and ceiling fans. 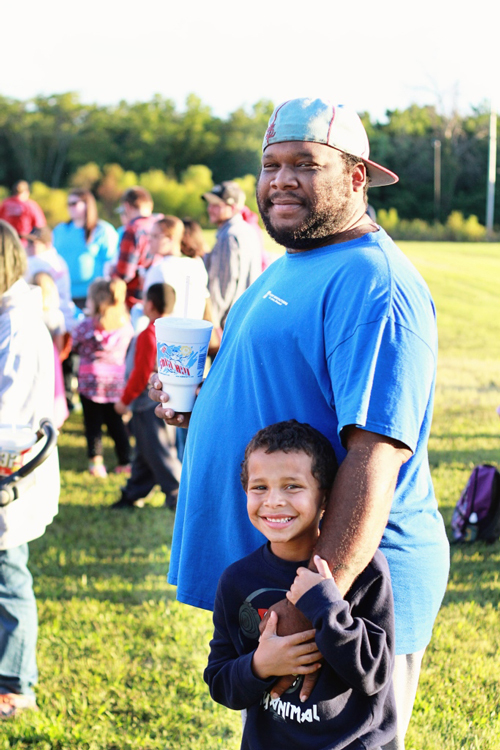 With more than 650 associates in 13 offices around the world, Tacony’s mission is to create long-lasting relationships that are based on trust and feel like family. Check out the full press release here. If you’d like to know more about us, check out our company, learn more about our products and services, or contact us today. With the announcement that Ray Queen, former Baby Lock Vice President & Chief of Sales, was retiring the search to find his replacement began. As Queen transitioned out, Andy Touchette was training to take his place. The search was not easy, as Steve Jeffery, President of Baby Lock said, “Ray had big shoes to fill.” However, Touchette’s experience in sales convinced the Baby Lock team he was the right person for the job. Touchette comes to Tacony with decades of sales experience. Most recently, he owned and ran a multi-unit home interior store. Before starting that business, Touchette headed a national sales team for a software company, and prior still he headed regional sales teams in the medical industry. According to Touchette, the best way to sell technology is through education. In his short time with Baby Lock, Touchette has seen the energy dedicated to educational events for retailers and consumers alike. Touchette’s experience as an independent retailer helps him understand the importance of knowing the ins and outs of products you sell. It also helps him better connect with Baby Lock retailers. Understanding how to build trusted relationships is a key part of Tacony Corporation and Baby Lock. As the Tacony mission statement says, the company strives to “build long-lasting relationships that are based on trust and feel like family”. This family atmosphere is one reason Touchette was drawn to Tacony Corporation and Baby Lock. “You feel it all across the entire organization. Egos are checked at the door and the philosophy from Ken Tacony (CEO of Tacony Corporation) on down is ‘How can I help get the job done?’” Touchette said. This practice of building relationships is one thing that keeps many employees at Tacony Corporation for decades. As the new person in the building, Touchette will bring a fresh perspective to help grow the Baby Lock business even more in the future. Founded in 1946 by Nick Tacony, Tacony Corporation is a privately held manufacturing and distribution company operating in four strategic business units: sewing, home floor care, commercial floor care, and ceiling fans. With more than 650 associates in 13 offices around the world, Tacony’s mission is to create long-lasting relationships that are based on trust and feel like family. For more information, visit www.tacony.com. 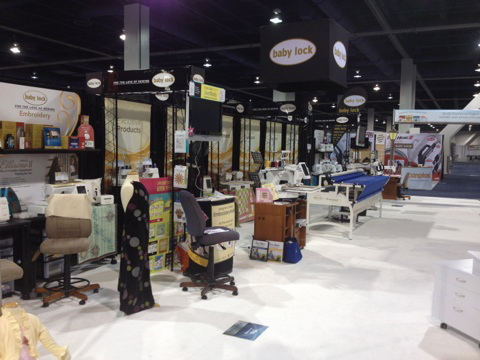 Baby Lock has been a leader in the sewing industry for over 40 years. Today, the company offers a full line of products that enhances the love of sewing, including technically advanced sewing, quilting and embroidery machines, sergers, accessories and industry-leading Gold Standard service and support. Baby Lock products are sold exclusively through independent retailers. Numerous celebrities in the sewing industry prefer Baby Lock machines, like Nancy Zieman, host of the PBS television show “Sewing With Nancy”. Similarly, Quilters Hall of Fame inductee, Eleanor Burns, represents Baby Lock’s quilting line of machines. Additionally, Baby Lock machines are on set of Fons & Porter’s “Love of Quilting” hosted by Marianne and Mary Fons. 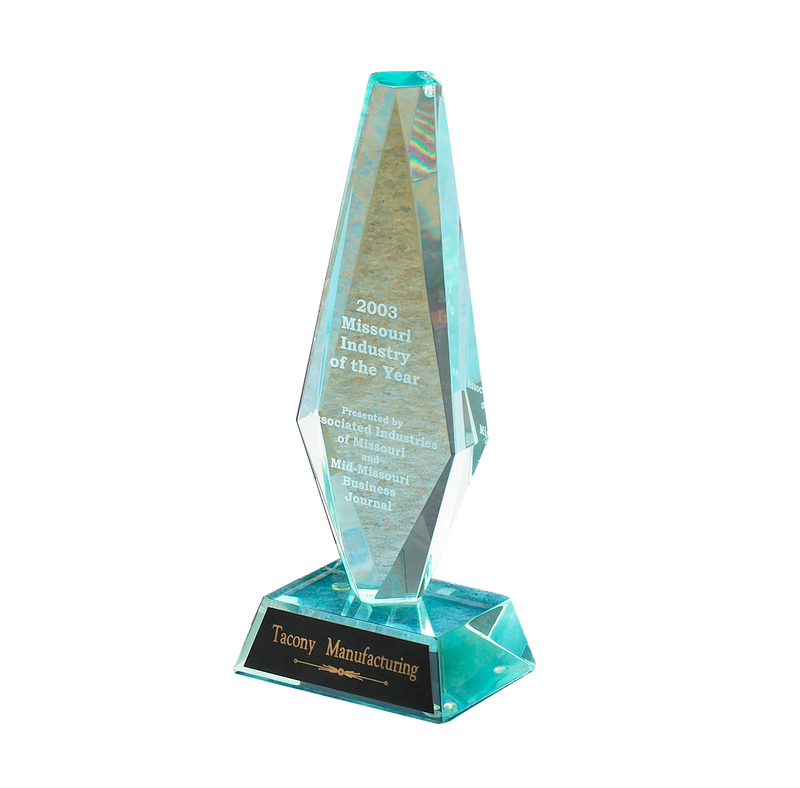 ST. JAMES, MO—Out of more than 7,000 Missouri manufacturers, Tacony Corporation was recognized as the Make it in America Manufacturer of the Week on May 3, 2012. “We’re honored to be a Make it in America Manufacturer of the Week. We couldn’t be more proud of our associates who put everything they have into building world-class vacuums each day,” Joy Petty, Director of Marketing for Tacony Corporation’s Home Floor Care Division, said. The Manufacturer of the Week initiative was launched in late 2011 by the National Institute of Standards and Technology’s (NIST) Manufacturing Extension Partnership (MEP). Designation as the Manufacturer of the Week is a great honor, since there will be only 52 selected across the entire country each year. Missouri Enterprise is an organization that helps small- and medium-size manufacturers transform themselves to realize profitable growth today and prepare for success in the next generation and beyond. Its services fall into five major categories: Continuous Improvement, Business Growth, Supplier Development, Workforce and Sustainability. Missouri Enterprise delivers a unique combination of “hands‐on implementation” assistance and coaching and mentoring that turns good ideas into bottom‐line profits. The organization works side‐by‐side with clients to create innovative new processes and products and the corporate culture that will become a hallmark of their long term operational success. Missouri Enterprise is part of the Hollings Manufacturing Extension Partnership, the nation’s largest consulting organization focused on small- and medium-size manufacturers and Missouri’s only program that provides direct assistance to manufacturing. Tacony Manufacturing, located in St. James, Missouri, is the manufacturing facility for all Simplicity and Riccar upright vacuum cleaners and premier canister vacuums. The factory opened in 1997 when Tacony Corporation moved production from Taiwan to the United States. Within the first decade of US production, the one millionth vacuum rolled off the line. 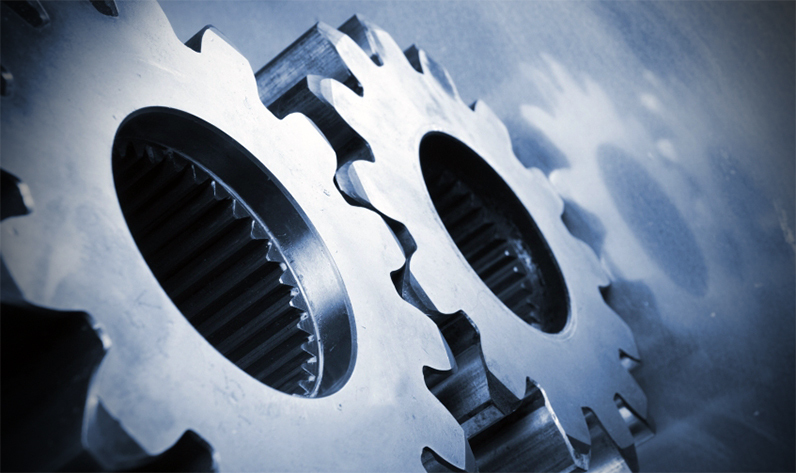 Tacony Manufacturing is a vertically integrated operation. Component pieces are injected molded on one of the seven presses, then many components receive an automotive-quality paint finish in the paint department before being brought out to the production lines for assembly. In addition to building Simplicity and Riccar vacuums, Tacony Manufacturing also serves as the production facility for some Fuller Brush brand vacuum cleaners as well as some CleanMax commercial grade vacuum cleaners. 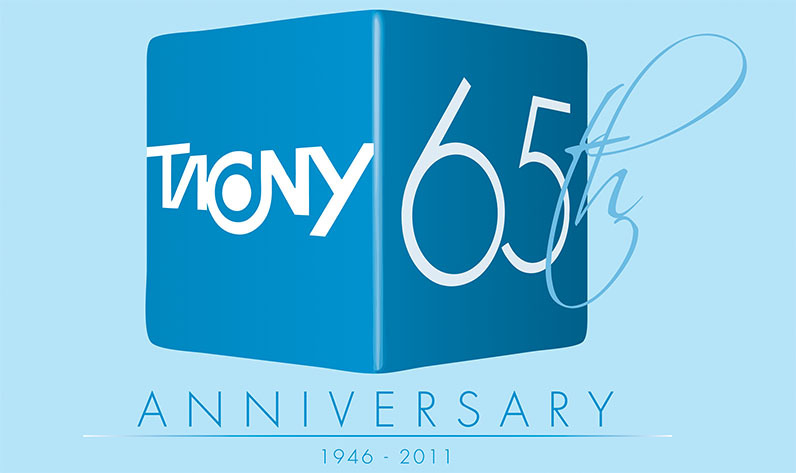 This year, Tacony Corporation is proud to celebrate its 65th Anniversary. Tacony has spent decades offering independent retailers popular brands such as Baby Lock sewing machines, Riccar and Simplicity vacuums and Koala Studios. Tacony knows that its success is dependant on the success of its customers and has maintained the culture of customer service introduced by its founder. In 1946, after returning from the War, Nick started a small business selling and servicing sewing machines from the basement of his home. He invested his savings in used machines, motors and parts, and worked diligently in an industry that had been ignored during the country’s industrial support for the War. Over the next two decades, his business grew to become a Tacony distribution network supporting independent retailers throughout the U.S.
Nick’s success was in large part due to his development of a family rapport with customers. He made sure that every employee and customer felt like they were a part of his family. In 1970, Ken Tacony joined his father in the business. When Nick Tacony passed away in 1984, Ken assumed the leadership of Tacony Corporation. Under Ken’s guidance, Tacony has grown far beyond being a large distributor of sewing machine parts. Today, Tacony Corporation imports, distributes, and manufactures a full range of products for independent retailers to market to homes and businesses. Tacony has become a truly diversified worldwide consumer products company with over 645 dedicated associates maintaining twelve offices and showrooms. Ken Tacony’s three children, Kristin Tacony Humes, Kennon Tacony and Korbin Tacony, also play significant roles in the Company. In each of their roles, the Tacony family emphasizes the importance of setting Tacony Corporation apart from the competition by providing exceptional customer service to the independent retailer. In the past decade, Tacony has experienced incredible growth with the acquisition of several brands, including Koala Studios custom-built furniture, the Tornado, CleanMax and Truvox floor care brands, and Mac Molding injection molding. Tacony has also opened the first Vacuum Cleaner Museum with one of the most rare and extensive collections in the world. This collection is a valuable resource for the product development team. Existing brands have also experienced vast growth. Thanks to an impressive selection of innovative machines, Baby Lock is now proud to count famed “sewlebrities” such as Nancy Zieman, Eleanor Burns, Martha Pullen and Kay M. Capps Cross among their spokespersons. These popular women participate in events around the country, promoting Baby Lock and, as a result, participating retailers’ stores. Baby Lock is also the underwriter of the popular programs Sewing with Nancy, Fons & Porter’s Love of Quilting and Quilt in a Day, giving a national presence to further drive traffic to independent retailer locations. 1997, Ken Tacony made the landmark decision to move the production of Riccar and Simplicity upright vacuum cleaners from Taiwan to St. James, Missouri. Since the initial move, the Tacony Manufacturing facility has expanded four times and has created over 150 jobs, making it one of the largest employers in St. James. Today, the 190,000 sq. ft. facility is home to state-of-the-art equipment for high tech painting, injection molding, solid modeling design, prototyping and detailed testing using ASTM standards. This facility is also home to the Vacuum Cleaner Museum. Tacony’s manufacturing (and the amount of jobs) continues to grow each year. In the past 2 years, Tacony has begun manufacturing Simplicity and Riccar premier canisters and heaters in St. James. Tacony also owns three other manufacturing facilities. Koala Studios are custom-built in Chicago, Illinois; Truvox products are manufactured in Southampton, England; and Tornado and Powr-Flite products are manufactured at the Fort Worth, Texas facility. Today, retailers of Tacony products can proudly tell customers that many products are made in the USA. Tacony’s sense of innovation has stretched beyond the products it sells and manufactures to the products it actually develops. For 15 years, Tacony’s Research and Development Team has developed product concepts from the original idea to production. Tacony’s engineers create the design and mechanical tooling, as well as develop their own testing equipment for research and quality control. Tacony’s team of 12 engineers confidently competes with larger companies by creating exclusive, sought-after features that give retailers a clear advantage in today’s market. To date, the Research and Development Team has developed several dozen patents, including upright and canister vacuum technology like the revolutionary Tandem Air motor system. Tacony’s engineering staff works primarily at the headquarters in Fenton, Missouri, with additional engineers at the St. James, Fort Worth, Southampton and Suzhou facilities. The Research and Development Team works closely alongside the Manufacturing, Technical, and Marketing Teams. Together, they can identify potential problems, react to new industry trends and perfect products before they are mass-produced. In doing so, Tacony has the rare gift of bringing products to retailers with speed and the ability to quickly react to market fluctuations. Tacony Corporation also maintains an “open door policy” that allows every employee, no matter what position, to feel comfortable sharing concerns and ideas with anyone in management or directly with Ken himself. Ken and the rest of the leaders of Tacony remain as accessible as possible to employees, retailers, and consumers. This extra effort and care has lead to a corporate culture that truly embodies Tacony’s corporate motto: Tradition. Trust. Teamwork. In every step of the way, Ken Tacony has incorporated a sense of family into the corporation built by his father. 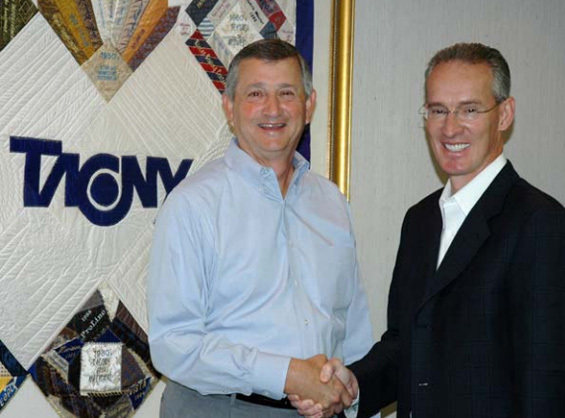 One of the most significant corporate goals of Tacony Corporation’s mission statement is to “build long-lasting relationships that are based on trust and feel like family.” Tacony’s primary objective is to ensure that the retailer will always be served with quality products, prompt delivery and the best customer service in the industry. Ken Tacony understands that Tacony’s success is based on the success of its retailers, making independent retailers the #1 priority of Tacony Corporation. ST. JAMES, MO — Historic Route 66 is the perfect location for its newest roadside attraction — a vacuum cleaner museum. This Mother Road is known for entertaining and educational venues and the new museum will deliver both in great fashion. The Vacuum Cleaner Museum will celebrate its grand opening on Thursday, August 27th with a ribbon cutting ceremony and ice cream social. The celebration begins at 1:30 pm. The museum is located at Tacony Manufacturing, home of Riccar and Simplicity vacuum production. This extensive collection includes 500 vacuums spanning a century of progress. The museum displays vacuums from the 1910’s to modern times in decade-themed vignettes complete with period furniture and memorabilia from that era. Visitors will discover a glimpse of Americana through the evolution of the vacuum and accompanying newspaper and magazine advertising displayed in each decade. Tom Gasko, Museum Curator and National Authority on Vacuums, donated his collection to museum, which includes many from Stan Kann, legendary organist for the Fox Theater, St. Louis, MO. A collector since childhood, Gasko’s passion has allowed the former Festus vacuum retailer to appear in USA Today, the HBO’s documentary This Is America, and other national media. He has also served as president of the National Vacuum Cleaners Club. “Tom is perfect at blending entertainment with education”, says Joy Petty, Director of Marketing for Tacony Corporation’s Floor Care division. “He has such an extensive knowledge of about how the vacuum cleaner has evolved, and how each was directly related to changes in America. You have no idea how exciting vacuums can be until you visit Tom at the museum”. There are also a few “celebrity” vacuums on display including the official vacuum cleaner of Air Force One and the childhood vacuum of Emmy nominated actor, James Earl Jones. 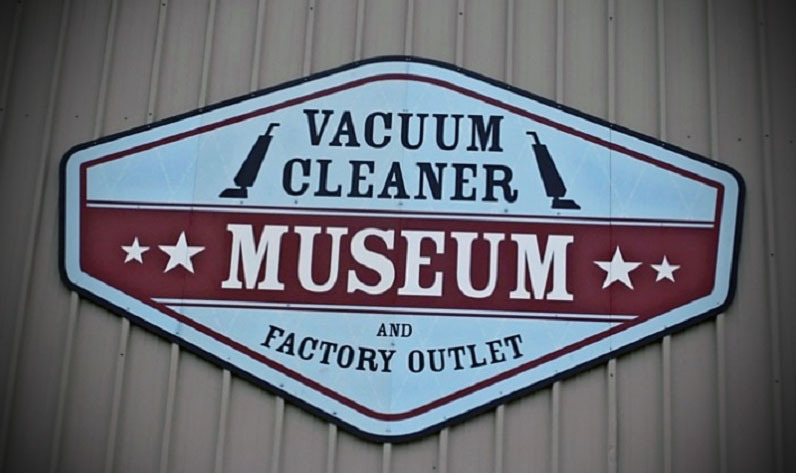 The Vacuum Cleaner Museum and factory outlet are open daily from 9 a.m. to 5 p.m. with free admission. The museum is located just off of Hwy. 44 at exit 195, at #3 Industrial Drive, St. James, MO. For more information, visit www.vacuummuseum.com. 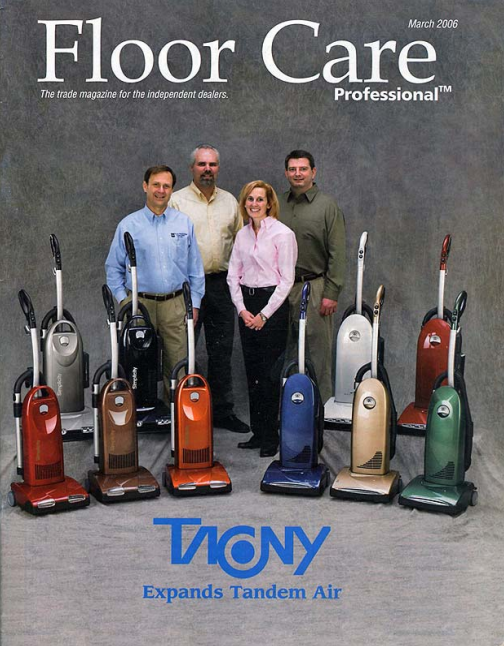 Tacony Corporation brought production of Simplicity and Riccar upright vacuums to the United States in 1997. At the time Tacony Manufacturing opened its doors, the entire vacuum factory consisted of only five employees. Almost a decade later, in 2006, the 120 employees of Tacony Manufacturing proudly watched as the first 1 millionth vacuum rolled off the production line. Headquartered in St. Louis and found in 1946 by Nick Tacony, Tacony Corp. is a privately held manufacturing and distribution company operating in four strategic business units: household vacuum cleaners, commercial floor care products, home sewing products and ceiling fans. With more than 650 associates in 12 offices around the world, Tacony’s mission is to create long-lasting relationships that are based on trust and feel like family. For more information, visit http://www.tacony.com. Tacony Corporation Acquires Sewing Center Supply Company, Inc.
ST. LOUIS, MO - Tacony Corporation of St. Louis, Missouri and SCS, Sewing Center Supply Co., Inc. of Portland, Oregon have entered into a Memorandum of Understanding for Tacony to acquire the assets of SCS on September 30, 2008. Under the agreement, Tacony will become the exclusive importer in North America and direct all the distribution of the varied SCS brands and products, including Madeira Thread, Klasse needles, Hemline luggage and notions, and Suzy’s bags and baskets. Tacony will also control and direct the design, manufacturing and worldwide distribution of the premier line of Koala Sewing and Craft furniture and studios. Tacony and SCS are working together towards meeting the exceptionally large demand for American manufactured Koala cabinets and are in the process of expanding manufacturing for the Koala cabinet line. For years, Tacony and SCS have served the sewing industry by bringing new and innovative products to market. Customers should expect a seamless transition of operations between SCS and Tacony. As part of this acquisition, the Portland facility will be closed and the inventory will be moved to Tacony’s facilities in Fenton, Missouri, Beaver Dam, Wisconsin and Fullerton, California. Tacony will continue to provide fast and cost effective shipping with its coast-to-coast distribution network. 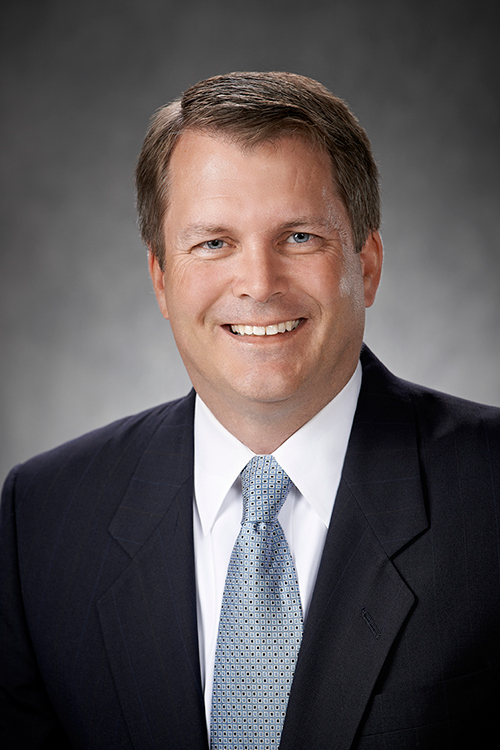 Ed Moore, Chief Executive Offices of SCS, will join Tacony Corporation and relocate to the St. Louis, Missouri are in the immediate future. "It is an exciting time and opportunity for those that have supported SCS. We have always been committed to providing our customers with products and ideas to help their businesses grow," said Moore. "The Tacony family and their commitment to excellence in serving their customer and associates will improve the ideas and services that SCS has provided. I am excited to join this team and to continue to partner with you in the future as a Tacony associate. Included in this acquisition are the Sewing and Crafting web site. Hundreds of sponsoring dealers from all over the country have joined this innovative site. Through education and demonstration of thousands of products, the Club has rewarded participating dealers with positive revenue both in store and on line. Tacony Corporation Acquires Mac Molding Company, Inc.
employees, with over half having at least 30 years of service. relationships with our customers and look forward to continuing to serve them. in Sunset Hills”, Loeffelman said. Check out the press release here. Organization for Standardization (ISO) to become officially registered. that design, develop, produce, install and service products. Employees who are very competent in their assigned job skills. company manufactures its two lines of vacuum cleaners: Riccar and Simplicity. Jacksonville, Fla. For more information, visit www.tacony.com. St. James, MO - Congresswoman JoAnn Emerson today presented the 2002 Missouri Impact Award to Ken Tacony, President of Tacony Corporation of Fenton, Missouri. The award is sponsored by Missouri Enterprise, a nonprofit corporation dedicated to helping Missouri businesses succeed, and recognized Tacony for its excellence in continuous improvement of manufacturing in the state of Missouri. Ken accepted the award on behalf of his family and every associate at Tacony Corporation, especially those at Tacony Manufacturing in St. James. He recognized former Mayor Nelson Hart, Mayor Jim Morrison, Bill Marshall and David Connell from Phelps County Bank and Russ Lindenlaub of Missouri Enterprise for helping Tacony become a part of the St. James community. He also thanked Congresswoman Emerson and all others who helped Tacony in many technical and economic ways to be able to move their manufacturing operations from Taiwan to Missouri in 1997. 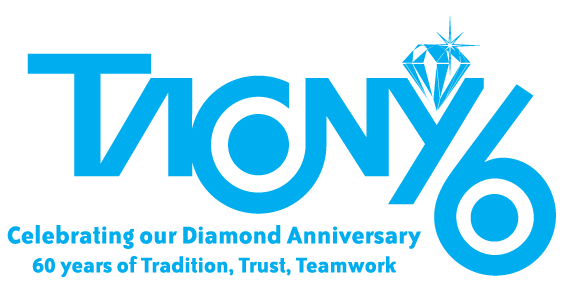 Ken Tacony stated, "Most of all, my very special thanks to all Tacony associates who participated over the past five years and have worked so hard bringing our dream to reality. Our decision to build world-class vacuum cleaner products in the United States for our Riccar, Simplicity and Powr-Flite customers was the right one. Thank you very much for this very special honor." Award in the small company classification. lines of vacuum cleaners: Simplicity and Riccar. commercial carpet care equipment, and commercial floor care equipment. 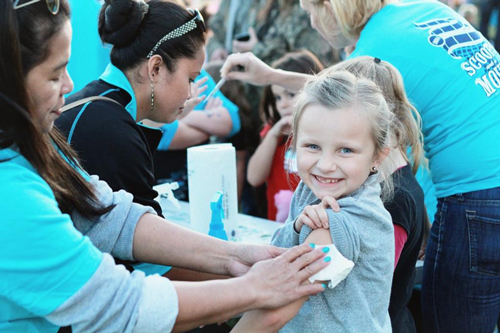 Head Start, the American Red Cross, the St. James Kiwanis Club and Guardian Angels. Other companies winning awards included SSM Health Care (large classification) in St.
Louis and Hollister, Inc. (medium classification) in Kirksville, Mo. ST. LOUIS, MO; May 18,1999 - This year's Economic Development Conference recognizes Missouri's "Most Valuable Players" with nine awards in various categories honoring individuals or organizations that positively changed the face of Missouri's economy. Tacony Corporation is the recipient of the 1999 Governor's Small Business of the Year Award. The award was presented on Tuesday, May 18th at the Governor's Economic Development Conference at the Lake of the Ozarks. Some of the qualifications for The Small Business of the Year Award include, businesses that have experienced significant growth, improved internal processes.and/or developed a business plan or marketing plan to improve its business. Tacony Corporation met this criteria by bringing jobs to Missouri, economic growth to the community and job skills to individuals. Baby Lock, Elna, Simplicity, Riccar and Tacsew brands. They also distribute vacuum cleaners branded Riccar and Simplicity and manufacture the Powr-Flite line of janitorial equipment. Regency ceiling fans are also product brands of Tacony Corporation. In 1998, Tacony and Zeng Hsing Industrial Co. LTD, opened a new joint venture known as USA Vacuum Industries. In an innovative move, Tacony relocated their vacuum cleaner production from Taiwan to St. James, Missouri. The decision was especially timely for St. James, which had suffered the closure of another manufacturing plant. "We are very pleased to bring jobs to Missouri," said Bill Hinderer, Executive Vice-President of Tacony Corporation. "We appreciate the assistance of MAMTC and the State of Missouri in helping us create new jobs." "Our office assisted Tacony with site selection and product design," White said, "Now, we are especially pleased that Tacony is receiving this well-deserved recognition from the Governor and the Department of Economic Development." "Tacony Corporation displayed impressive vision and determination with the decision to bring production of their vacuum cleaners to the United States," said Russ Lindenlaub, Director of the MAMTC-Missouri Rolla Center. "We are currently helping USA Vacuum Industries to increase their production capacity by implementing 'lean manufacturing' techniques," Lindenlaub said. "This effort results in increased productivity, efficiency, and quality." U.S. Secretary of Commerce William Daley proclaimed 1999 as "The Year of the Small Manufacturer" in recognition of the vital impact of small manufacturers on our nation's economy. "Small manufacturers are critical to the competitiveness of the entire manufacturing sector and are vital to the U.S. economy," Daley said.